Community Church of Richmond is located in Richmond, Illinois, a town of 1900 residents, just south of the Wisconsin border in McHenry County. 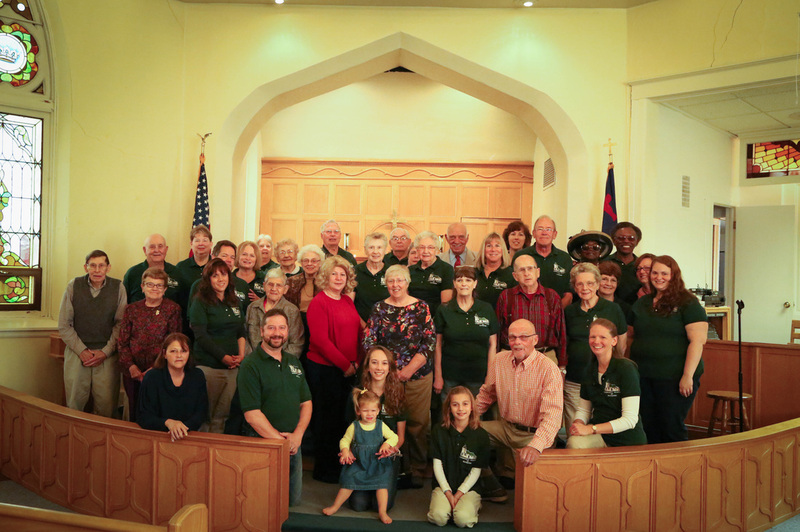 Community Church supports the community through involvement with the Food Pantry, McHenry County PADS, Heartland blood drive, and the Pioneer Center. We invite the community to come together through our Community Church Arts Series and community oriented events like our Annual Summer Beef Roast. The building is host to community groups, including Cub Scout Pack 349, Community Clovers and Gophers 4H Club, and Senior Services Exercise group. Our denomination formed in 1957, bringing together churches from the Congregational Churches and the Evangelical and Reformed Church, so that we could better live out what Jesus prayed for when he said "May they all be one"(John 17:21). Today, this denomination of over 5,000 churches describes itself this way: Drawn together by the Holy Spirit, we are a distinct and diverse community of Christians that come together as one church, joining faith and action. In covenant with the church in all of its settings, we serve God in the co-creation of a just and sustainable world as made manifest in the Gospel of Jesus Christ." For more information about the United Church of Christ, we invite you to check out their website at www.ucc.org.